Today, the Bollywood Hungama site organized a chat with "What's Your Rashee?" 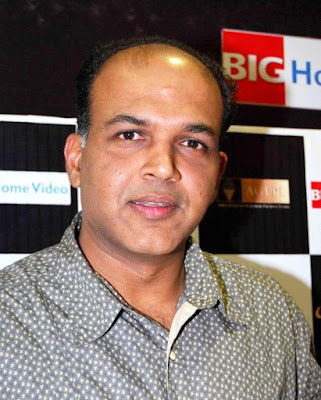 director Ashutosh Gowariker, also known for blockbuster "Lagaan" and for "Jodhaa Akbar". The Cinema Hindi and English Box teams were able to get some questions across to him and this is what one of the most notorious Indian directors in the industry had to say. C. H.: Hello Sir, how would you describe what it was like working with Sohail Sen on the 'What's Your Rashee' soundtrack (and singing on it)? C. H.: Priyanka Chopra is the first actor possibly in world cinema to play 12 different characters in a single movie. That is quite a challenge. What made you cast Priyanka? A. G.: Quite simply becasue she is a fab actress. I have seen her right from her first film HERO and then in AITRAAZ where she plays a negative character. I believed that she will be able to bring nuances to each raashee girl, which she very beautifully did. I love her performance. Hope you agree with me! C. H.: Up to "What's Your Rashee? ", your movies had dealt with important subjects such as the struggle forsurvival (Lagaan), caste discrimination (Swades), religious tolerance(cohabitation) (Jodhaa Akbar). What persuaded you to direct a romantic comedy? A. G.: I wanted to make a light hearted film. And i chose the genre of the romantic comedy because i have not made one before. Also, through the beautiful concept and story of Madhu Rye, I also wanted to touch upon the different raashees. Read the complete chat on the Bollywood Hungama site soon. Why is poor Ashu being referred to 'as one of the most notorious directors in the industry'. I did not quite get the comment. Was I too stingy or too generous in my praise? This is late to comment but I just found this site. "Notorious" has negative connotations, is I think what the question was about. I wondered too, when I read that, if there were questions about his character that I didn't know about, not that I follow that kind of thing. I have the highest regard for him as a director and was surprised at the turn he took with Rashee - and enjoyed it as a light treat very well done. Hello Christine and thanks so much for taking the tme to leave us a comment. We always value what our readers have to say, even if it has been a while since we posted. Thanks for the input on having used "notorious" to describe A. Gowariker. We hope you keep coming to read us and feel welcome to leave us more comments.